In an effort to support local shops that make our communities strong, American Express launches Small Business Saturday on the Saturday after Thanksgiving to encourage people to Shop Small and bring more holiday shopping to small business. 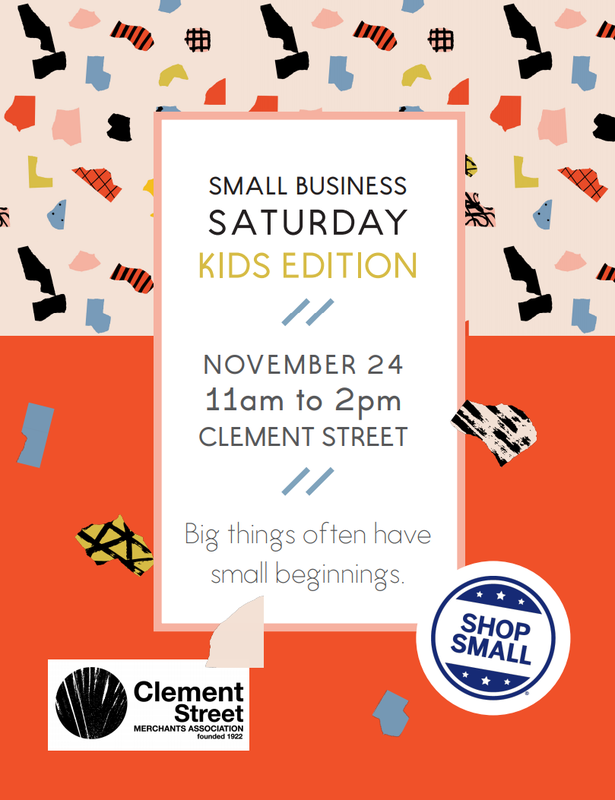 To keep Shop Small even smaller, the Clement Street Merchants Association hosts a Kids Edition- where young entrepreneurs set up micro businesses along the Clement Street corridor. Kids have the opportunity to experience what it's like to create a business model and the joy of being a small shop owner for the day. As a One Richmond member, let’s all support #shoppinglocal!